Gary Wolstenholme reviews the Samyang 10mm f/2.8 ED AS NCS CS ultra wide-angle lens with Nano Coating System. This lens is available to fit many different types of camera with an APS-C or smaller sensor, including Canon, Nikon, Pentax, Sony, Samsung NX, Micro Four Thirds and Four Thirds SLRs. When used with an APS-C sensor camera, this lens provides an angle of view of up to 109.9 degrees. In this review we will be taking a close look at the Nikon version, which comes equipped with a metering chip, so that Matrix metering is supported on all Nikon camera bodies. 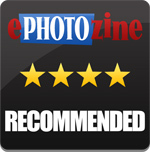 Even though this lens is keenly priced for its specification, the build quality is excellent. 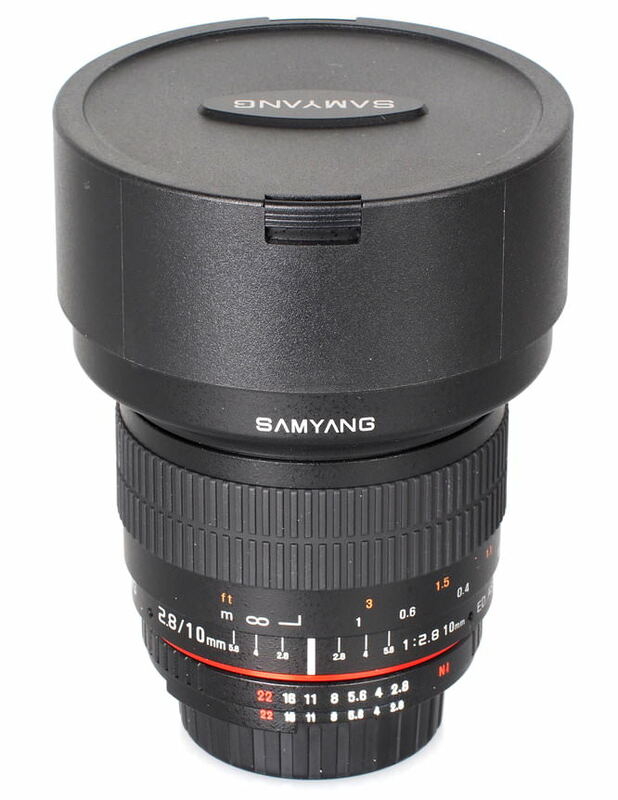 Lightly textured high quality plastics have been used for much of the lens barrel, with a metallic red ring placed just after the aperture ring, which is a feature of Samyang's premium lenses. Despite its robust construction, the lens isn't overly heavy, which will make it feel just as at home on more compact camera bodies as it does on the Nikon D300 used for testing. The manual focusing ring is smooth to operate and is a pleasure to use as a result, with just the right amount of damping making fine adjustments easy to apply. A very useful hyperfocal scale is provided on the lens barrel, which is adequately spaced to ensure accurate setting of the lens. Unfortunately, due to the use of low dispersion glass in the optical design, there is no hard stop for infinity focus, which may cause issues for those wanting to use this lens for astro photography. 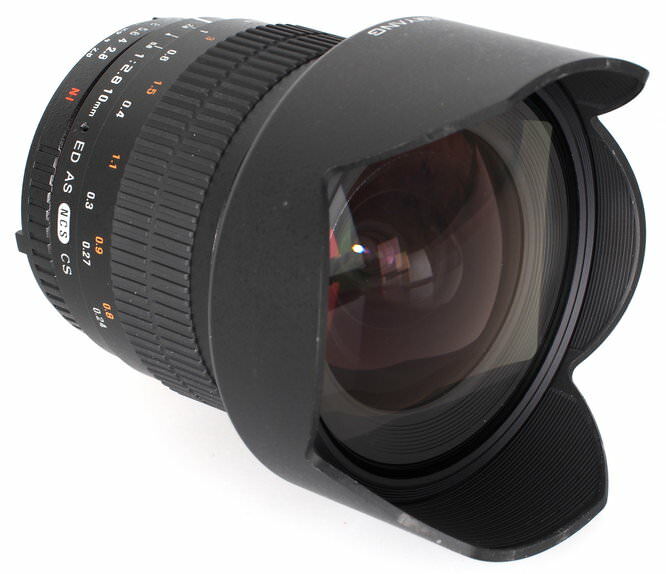 This lens' excellent manual focusing action will make this lens ideal for those who shoot video with their SLRs. Closest focus is 24cm, which should be ideal for shooting in cramped environments or even for the occasional close up, where the wide angle will allow more of your subject's surroundings to be included than is possible with longer focal length lenses. 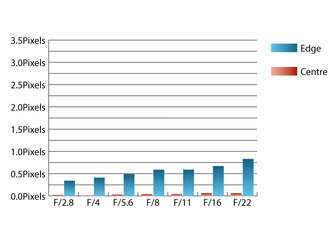 Focusing is performed by moving lens element inside the lens barrel, so the length of the lens doesn't change. 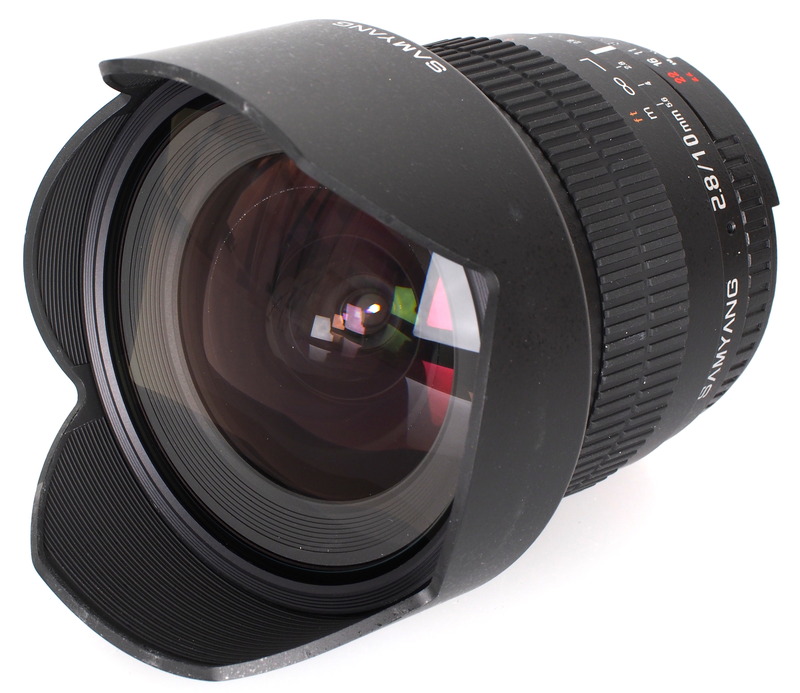 Due to the extreme wide angle nature of this lens, there is no filter thread provided and a deep, petal-shaped hood is built into the design of the lens. At maximum aperture, sharpness is already excellent in the centre of the frame, and good towards the edges of the frame. Stopping down improves performance across the frame, although it takes longer for the clarity towards the edges to catch up to that seen in the centre. Outstanding sharpness is achieved in the centre of the frame at f/4 and sharpness approaches excellent levels towards the edges of the frame at f/8. Chromatic aberrations are very well controlled for this type of lens, remaining under half a pixel width in size at all apertures. These low levels of fringing should be barely visible in images, even with high contrast areas towards the edges of the frame. Falloff of illumination towards the corners is well controlled for a wide angle lens with a fast maximum aperture. At f/2.8 the corners are only 1.63 stops darker than the image centre and visually uniform illumination is achieved with the lens stopped down to f/4 or beyond. Imatest detected 4.65% barrel distortion, which is a reasonably mild amount for a lens this wide, but may still become visible in images with straight lines close to the edges of the frame. Due to the distortion pattern having a slight wavy appearance to it, applying corrections in image editing software afterwards may be quite tricky. This is one of Samyang's first lenses to sport their Nano Coating system, which does an excellent job of suppressing flare and retaining contrast when shooting into the light. This lens is fairly unique in what it offers for crop-sensor SLR cameras, with most alternatives being zoom lenses with a slower maximum aperture. 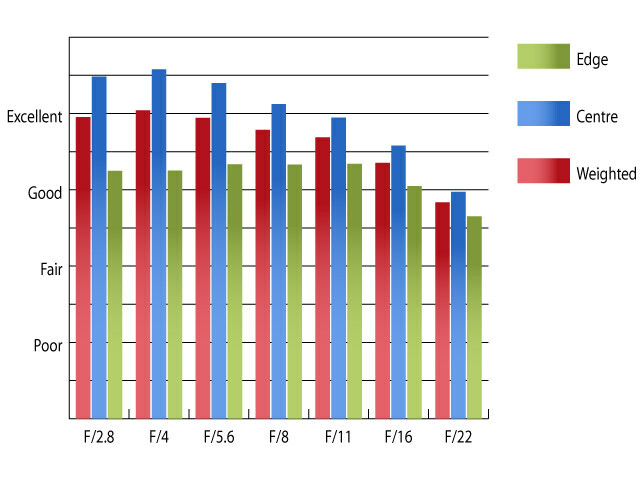 The closest equivalent currently is Tokina's 11-16mm f/2.8 lens, which costs around £495. Although it offers the flexibility of a zoom and the same maximum aperture, it isn't quite as wide-angle as this Samyang lens. The next closest alternative is Sigma's 10-20mm f/3.5 EX DC HSM lens, which costs around £395. 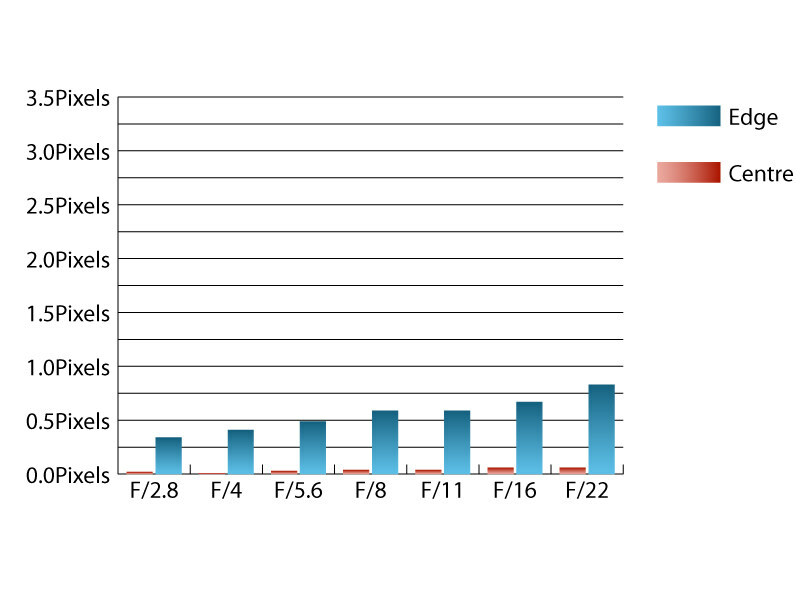 Again, this lens offers the flexibility of zoom, but in this case the maximum aperture is two thirds of a stop slower, which will make a difference in low light conditions. Overall, this lens is a good performer, for a decent price. The combination of good sharpness levels and a relatively fast f/2.8 maximum aperture should have London estate agents excited, as they will be able to make their dark dingy shoebox-sized bedsits look like bright, airy mansions, thanks to the wide angle of view and fast maximum aperture. Other people will just enjoy the excellent overall performance that they can get with this lens, without breaking the bank. 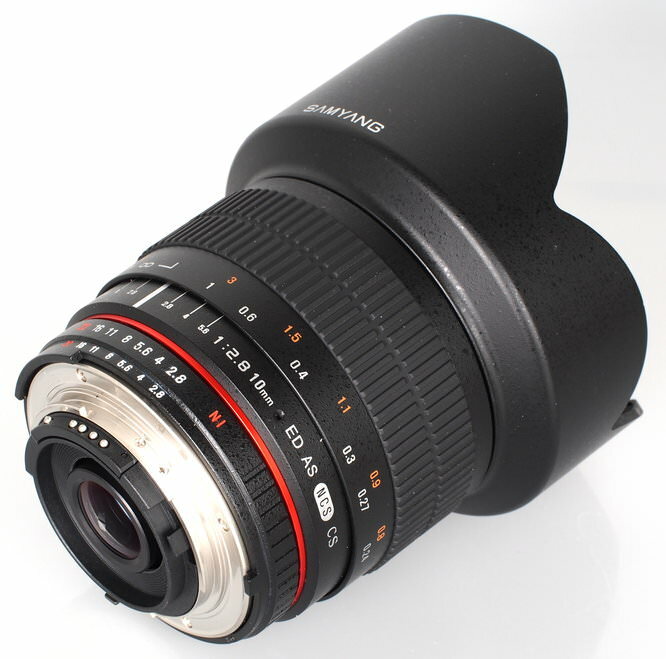 The Samyang 10mm f/2.8 ED AS NCS CS offers excellent overall performance without breaking the bank. Two clarifications .... the lens is actually available also for Fuji X (see here http://www.samyang.co.uk/index.php/new-products/new-samyang-10mm-f-2-8) .... and from the review it sounded like you were going to give it a highly recommended. Why did you decide to go for recommended only? Compatibility indicates "Olympus Four Thirds" which I presume should be "Micro Four Thirds"
[quote]Compatibility indicates "Olympus Four Thirds" which I presume should be "Micro Four Thirds"[/quote] This has been updated, the lens is available for both Four Thirds, and Micro Four Thirds, cheers. Quote:Compatibility indicates "Olympus Four Thirds" which I presume should be "Micro Four Thirds"
This has been updated, the lens is available for both Four Thirds, and Micro Four Thirds, cheers.